Eva Tomlinson is the Director of FTZ Solutions for UPS Trade Management Services. 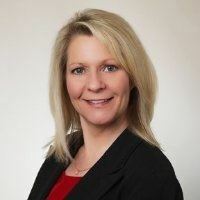 Prior to this role, Ms. Tomlinson was the founder, President and CEO of Zone Solutions, LLC, a nationally recognized firm and industry leader in providing foreign trade zone consulting, implementation, and administrative management services. Zone Solutions was acquired by UPS Trade Management Services in 2017, and is now part of the UPS suite of Services. Ms. Tomlinson’s experience spans all aspects of FTZ consultation, implementation, and on-going managed services for administration. Her company, Zone Solutions, was recently acquired by UPS, forming the largest consultation and managed services provider in the country. She has extensive experience in conducting FTZ cost-benefit analysis, acting as a communication liaison between her clients and government agencies overseeing the FTZ program, preparing applications for designation and activation of zones, preparing applications for production activity, and ensuring ongoing compliance in FTZ operations. Ms. Tomlinson is a licensed Customs Broker, as well as an Accredited Zone Specialist and NCBFAA Certified Customs Specialist. She is an active member in the National Association of Foreign Trade Zones (NAFTZ), where she serves on multiple committees and is currently the Chairman of the Board of Directors.